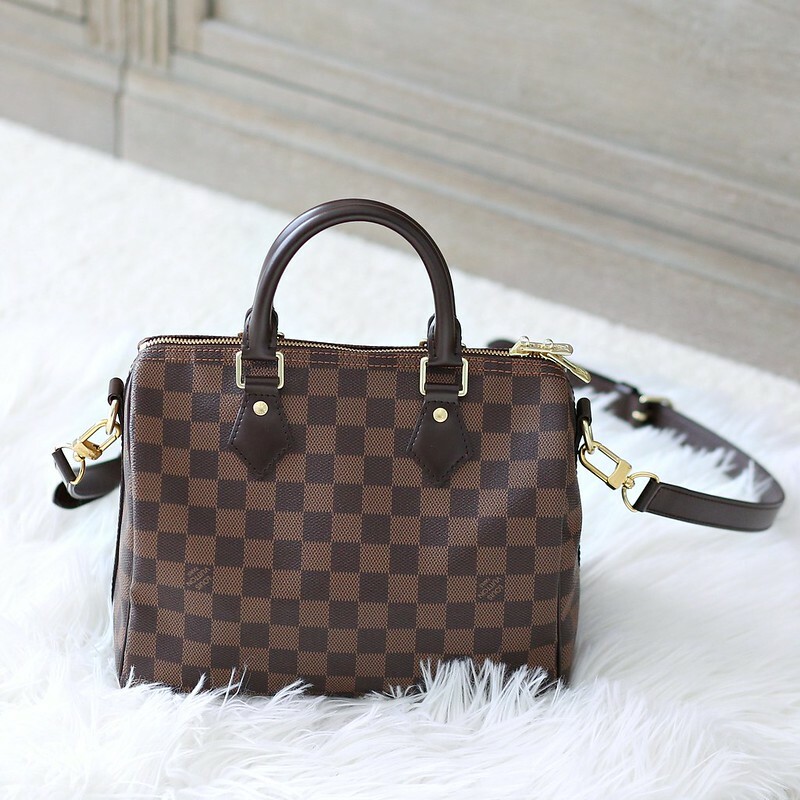 I am very excited to introduce the latest addition to my handbag collection - the Speedy 25 bandouliere in the Damier Ebene print. I do have quite a few bags but a carefree travel bag was missing in my collection. 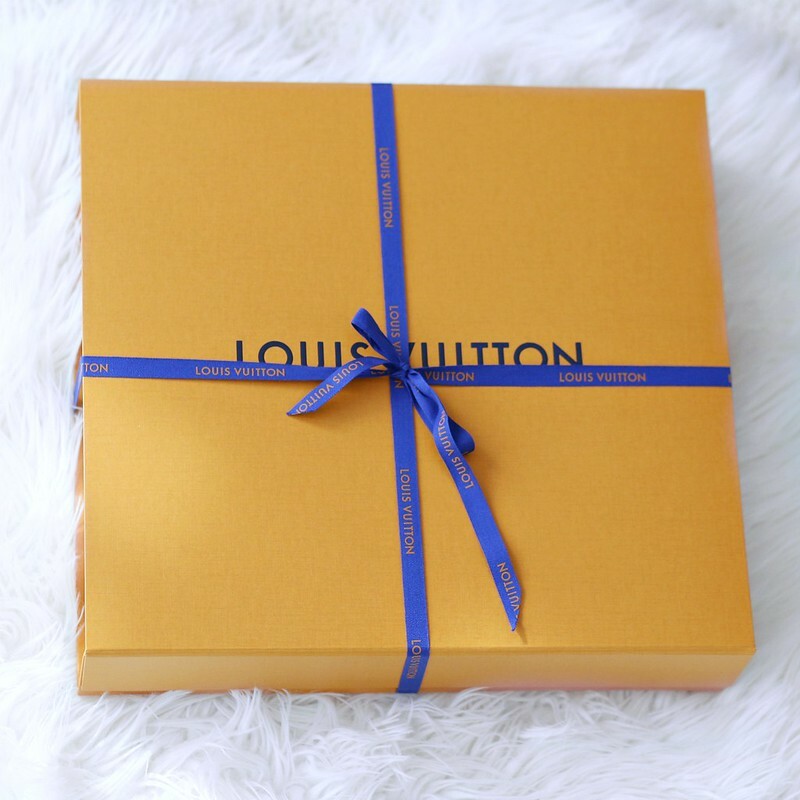 With that in mind, I purchased the Pochette Metis a few months ago but unfortunately, it didn't work out for me (read my thoughts here). After returning the Pochette Metis, I decided to go with the classic Speedy instead. I knew I wanted the smallest size (size 25cm) in the Damier Ebene print. The combination of canvas and treated leather is so carefree. The speedy was introduced in 1930. 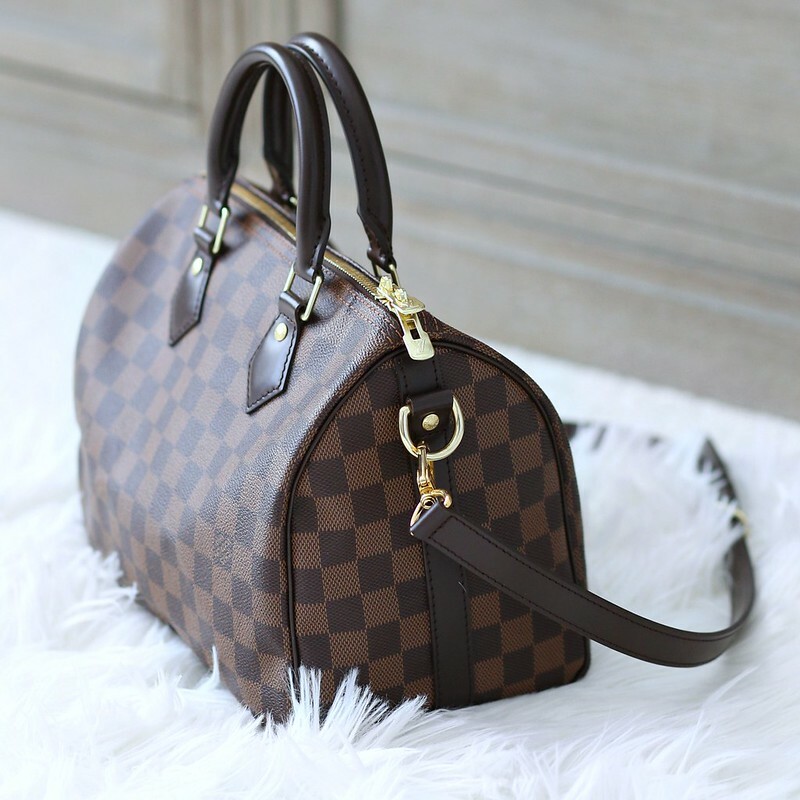 It's one of Louis Vuitton's most classic bags (besides the Neverfull). I went back and forth between the classic version and the bandouliere version (there is a big difference in price) but ultimately, I knew I would be so much happier with the bandouliere version. Adjustable shoulder straps make it so convenient for travel. You can find endless reviews of this particular bag on the web so I won't go into too much detail. It may not seem like an exciting purchase I am over the moon to have this beauty in my collection. Can't wait to take her on my next trip! Hi Syd! Cute satchel to add to your collection. Enjoy and have a blessed weekend!